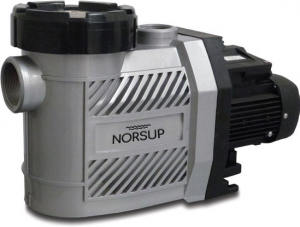 New for 2019, Bosta has introduced the Norsup Evo+ range of pool pumps. The key word for this pump range is reliability. The carefully selected wet ends and motors create an exceptional pump that is built to last. The pumps are 100% German manufactured with the motors being supplied by the world renowned Hanning Motor Group. This allows us to offer extremely quiet running pumps with strong lids and large filter baskets that inspire confidence. Available exclusively for pool installers.